We are staying at The Premier Inn at Glasgow Airport and ate our tea at the Thyme restaurant here. 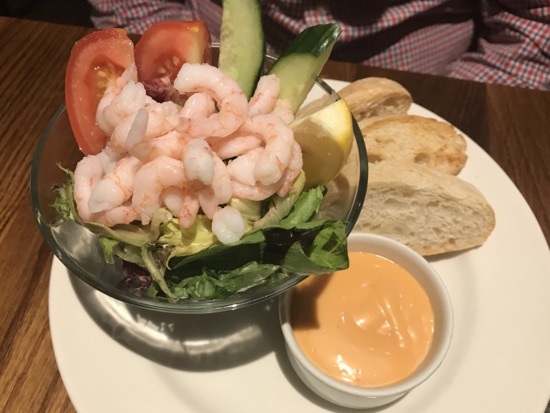 There was a crash on the motorway not far from the airport which delayed our arrival so we were very grateful for the food when we finally got it! We had pre-ordered meal deals which gave us 2 adult meals (2 courses & drinks). 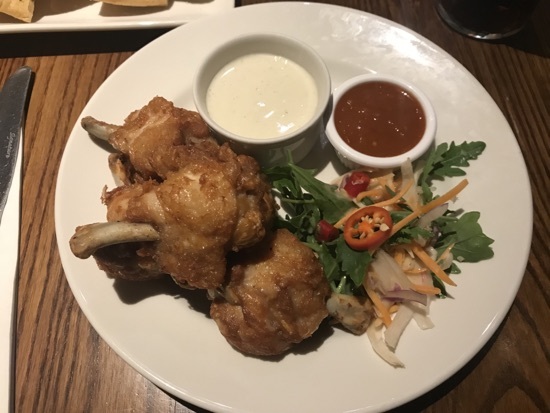 I went for Piri-piri chicken wings to start - these were spicy & delicious! N ordered Prawn Cocktail which didn't last very long so I assume he enjoyed it! 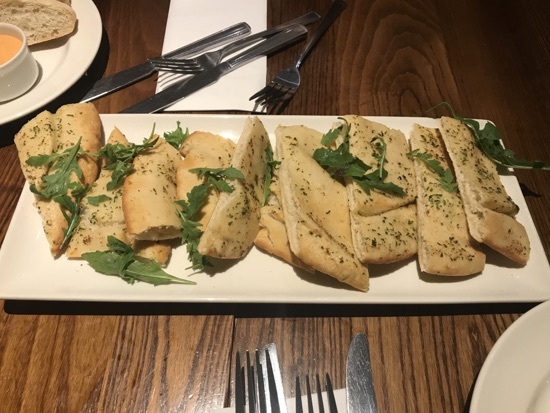 L & J shared a garlic bread to start. They did not have the meal deal as we get their breakfasts free with ours, so we paid separately for this. Main meal - N had the mixed grill, which he really enjoyed. 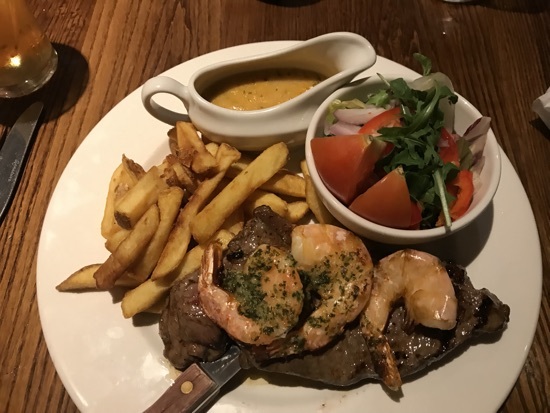 I went for Turf & Surf - steak with garlic prawns and a delicious prawn & lobster sauce. This was ace! We have been dieting for a while so may have just been grateful for some real food but we both really enjoyed our food tonight! 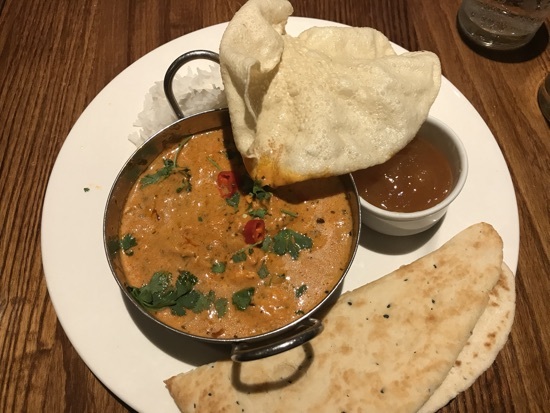 There was a bit of confusion with the bill which at one point ended up with 2 pizzas and 2 curries, and which then got changed to 4 curries?! We got there in the end. 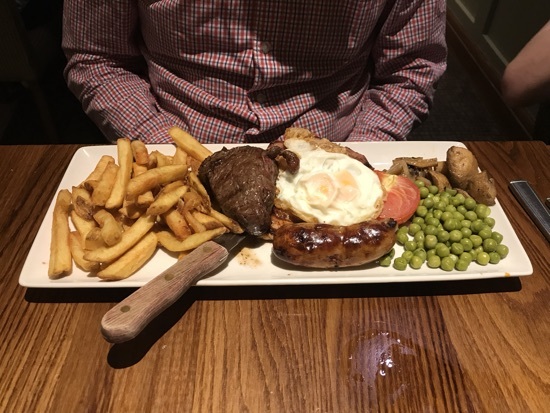 We had to pay a supplement on the meal deals for the steak and mixed grills. With 3 pints of beer, plus 2 soft drinks and the kids food + tip we ended up paying £40, on top of the meal deals which we had paid £48 for... this includes breakfast for all of us tomorrow. 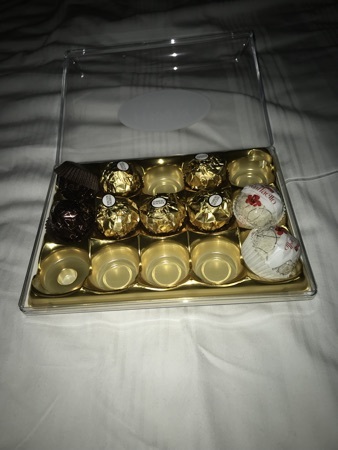 Pudding is a box of Ferraro Rocher back in the room! New Photo Added by Dennys - 9 Aug 18 10:28 PM. Have a great trip. Can't beat a Premier Inn bargain. Just me and the kids this time.